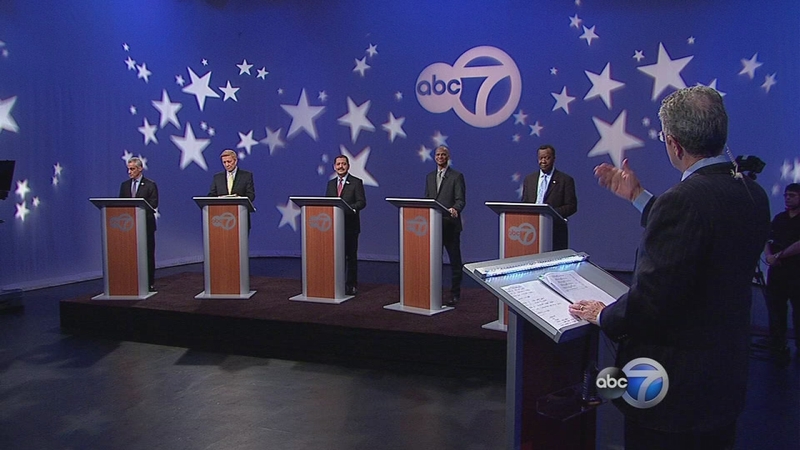 CHICAGO (WLS) -- ABC 7, the station that has broadcast political debates for more than two decades, partnered with the Leagues of Women Voters of Illinois and Chicago, as well as Univision Chicago, to present a live, commercial-free debate, Vote 2015: Debate In The Race For Chicago Mayor. The 2015 Chicago mayoral candidates-- Mayor Rahm Emanuel, Alderman Bob Fioretti, Cook County Commissioner Jesus 'Chuy' Garcia, William "Dock" Walls and Willie Wilson - participated in the hour-long debate at ABC 7 studios on Thursday. ABC 7 partnered with the Leagues of Women Voters of Illinois and Chicago, as well as Univision Chicago, to present a live, commercial-free debate, Vote 2015: Debate In The Race For Chicago Mayor. 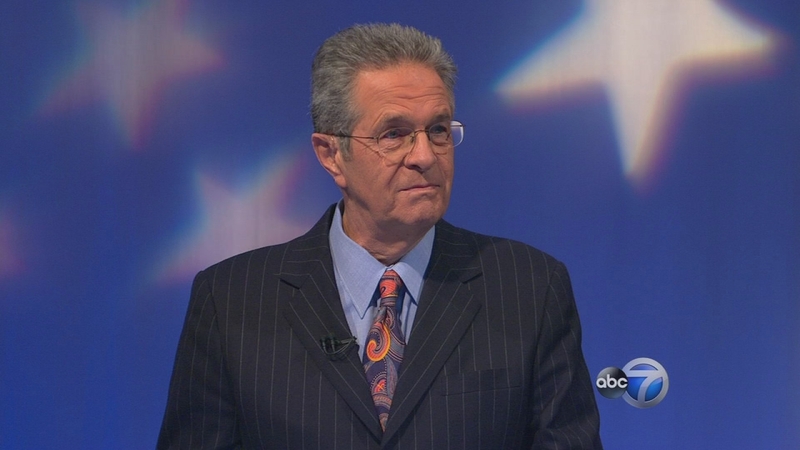 ABC 7 Anchor/Reporter Ron Magers moderated the live debate. 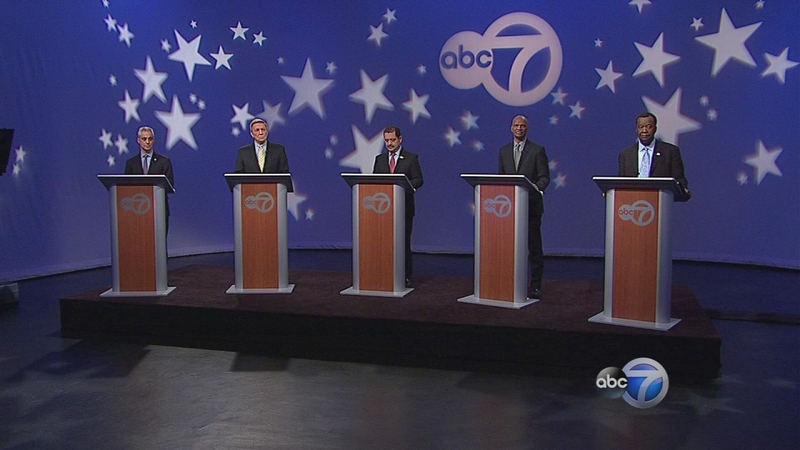 The debate will be broadcast Thursday evening at 10:35 PM on ABC 7's main channel and will also be available on demand at abc7chicago.com. 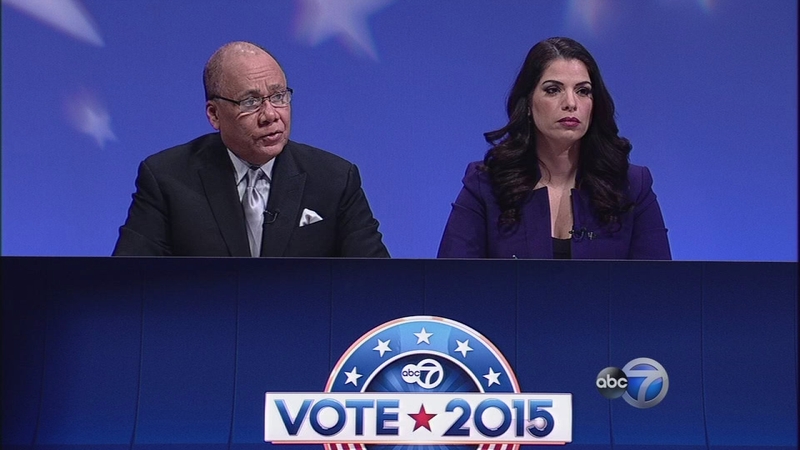 ABC 7 Political Reporter Charles Thomas and Univision Chicago Anchor/reporter Erika Maldonado joined Ron Magers in questioning the candidates. Univision Chicago will broadcast Vote 2015: Debate In The Race For Chicago Mayor on Friday, February 6 from 10-11:00 pm and it will also be simulcast on Univision America (WRTO 1200AM). It will also be streamed live and available on demand on Univisionchicago.com. According to John Idler, President and General Manager, ABC 7 Chicago, "We are proud of ABC 7's long-standing tradition of broadcasting candidate debates. By airing this debate, Chicagoans get a chance to assess all five mayoral candidates as they explain their positions on the issues and plans for moving the city forward."